All of the products in the Vegas Pro family make it easy to import and edit movies, images, and music so you can jump right in and start creating your next video or audio masterpiece. 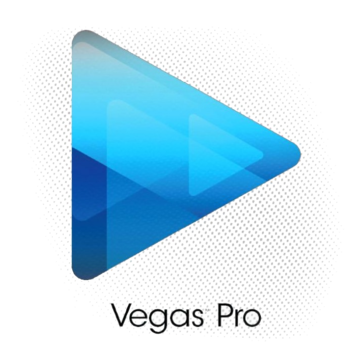 "VEGAS Pro for amateurs and professionals"
In addition to writing articles, I like to relax from the everyday hustle and bustle, relax in the company of friends, play video games. Often, in the process of playing and talking, you get interesting or funny moments for the viewer, so not long ago I decided to start recording small editors for the games I play. Naturally, a lot of material accumulates and it needs to be processed somehow. In my opinion, the handler should not be completely complicated to use and at the same time functional. I use VEGAS Pro as a video editing program. 1. The most convenient functionality. Everything is in quick access and has an intuitive layout, use. 3. large selection of the conversion of the final material in the video. Alas, but I did not like the pricing policy of the program. Also, if you are a true professional in your field, then this program will not work for you. After all, the effects of the After Effects Vegas level cannot be created. no matter how strange it may sound, I can insert ads into my videos and benefit from the time spent on editing with the help of Vegas. "Sony Vegas is a sharp tool - As long as you can make your own shortcuts"
Sony Vegas is incredibly versatile - I can use it not only to edit videos, but also audio. It has a wide range of effects and constantly there is something new to learn and up my game. There is also a great amount of support online in the form of video reviews, and typed up guides on how to use the software. This proves extremely helpful, and I have never been stuck on a certain editing "trick' for more than ten minutes. Sony Vegas can be clunky at times, and makes it very important to create your own work around for some limitations. This can be slow at first, however you will begin to gain an editing tool set. It is also incredibly intimidating once the first start up, however this is just a product of the vast amount of features in Vegas, and you will grow more comfortable with it after further use. Practice lots, you'll get better as you go along. There is a huge amount of resources for you to use on YouTube. Chances are if you have a question about Vegas, it has been answered somewhere online. Vegas is the heart and soul of my channel. Without a software like this, I would be completely inoperable, and my channel would be completely ruined. I've found that a software like Vegas has a huge skill ceiling, and this allows for my editing to get a lot better, and a lot faster. "The hidden gem in my toolbelt, AKA The little engine that could!" Vegas Pro is comparable to any high-end editing suite available to date. I enjoy being able to immediately jump into video content and edit without having to go through hoops and tricks for simple cuts, transitions and effects. If more in-depth control is needed, then its tools are capable and readily available for more in-depth editing, allowing you to add complex structures and timelines to your production edits. There is always room for improvement and it does not have all the bells and whistles with digital visual effects, compositing, and animation. There are available add-ons and tools for additional fees with Vegas Pro. Affordable product but maintains professional standards in editing. Recommend this for home projects, B2B applications, broadcast television, and film. Has a very easy learning curve and can find many online communities that support and share tips, tools, and abilities of Vegas Pro. This is my main tool for editing videos recorded for our online webinars which are then placed in our online learning management system (LMS) for our online learners to access when the webinar is completed. I've used this tool at my previous company and could not wait to purchase a license at my new job. Also if there are videos that have to be cut or scenes blurred out to use in court, then Vegas Pro is a great tool for making that process a lot easier. "A usable alternative to Premiere Pro"
Sony Vegas has a very easy to understand interface, a good array of in built tools and a decent selection of 3rd party plug-ins to make it a highly versatile piece of editing software for those with only PC and not MAC capabilities. Whilst not the most popular, expensive, or widely used software for full feature and TV editing, it is still capable enough for most project types, and certainly for those working in other areas of entertainment who require picture and sound editing facilities. It's slightly less accessible in terms of its compatibility with 3rd party programs in the way that Premiere Pro works within Adobe. The family of connectivity with After Effects, Photoshop, Lightroom etc means that switching files between these programs is a doddle, and it also integrates much better with BMD DaVinci Resolve colour correction, which is fast becoming the standard for online editors the world over. Wedding videographers, music video producers, short film makers who are PC equipped this is the editing software to keep you engaged in your business. Basic editing needs for short, feature, and web series editing, to a HEVC standard with H265 codecs, the standard of HD viewing for Bluray, is simply achieved with Sony Vegas. "Easy-to-use, intuitive video editor with few PC requirements"
Vegas Pro (formerly Sony Vegas) is a video editor that is characterized by its versatility, with a nice and intuitive graphic interface. When I first started in the world of video editing I was overwhelmed by software like AVID Media Composer, Final Cut Pro or Adobe Premiere, but Sony Vegas was the one that allowed me, due to its simplicity, to learn to edit, the insertion of inputs and outputs , of video and audio clips with just dragging the mouse, the insertion of effects of both video and special correction, transitions. And the PC requirement was and remains low compared to other softwares. Precisely its main advantage is its biggest flaw, it is a very good video editor for the person who is starting in the world of postproduction, but there comes a moment where you realize that you need something, compared to Premiere for example, moment to be able to have more audio or video plugins, greater access to the configuration of the output formats. In short, if you already know this world of editing, most likely this is not the software for you. But if you're new, go ahead, go for it. As I said before, if you're new to this world of publishing, go and buy it, it's your option, you will not regret it. If you are already advanced, maybe you should look at other options. For some time now I have been using it to edit videos for both clients and me. When they are projects that do not require a lot of work in editing, it is perfect. "Es muy sencillo de usar para proyectos rápidos"
Me gusta mucho su interfaz intuitiva que permite editar rápidamente con comandos de teclado muy cómodos, las transiciones que trae por defecto son muy sencillas de usar, la recortadora de videos es una herramienta muy buena que agiliza el proceso de trabajo. La utilización de máscaras es muy buena una vez que aprendes a usarla por completo. La opción de visualizar en calidad baja o alta es un buen aspecto. El mix de audios es muy bueno para hacer ediciones rápidas incluso de canciones. Realentizar y aumentar la velocidad de un video es muy fácil de utilizar. A veces la visualización en la línea de tiempo es un poco difícil de usar cuando haces zoom en el carrete. También sería bueno tener un buscador o organizador de canales en la línea de tiempo. Poder usar capas o canales de video con más facilidad. Que tuviera más efectos de videos. Es un editor básico pero que funciona muy bien para proyectos rápidos. He utilizado este software para editar videos pequeños para redes sociales, donde trabajo, puedo hacer incluso animaciones pequeñas es muy rápido renderizando. First, Sony Vegas is much easier to learn for beginners than, for example, the same Adobe Premiere Pro, which is designed mainly for professional work and earnings (although in Sony Vegas people make good money). Next, it should be noted that Sony Vegas has a fairly flexible interface configuration. You can customize it, which is called "for themselves" (I, for example, almost never work with the window trimmer, so just remove it, thereby expanding the space within the program). Although the interface of Vegas itself is already well thought out. Sony Vegas allows you to work with an unlimited number of audio and video tracks. Works with a large number of video formats. Easy to work with sound: allows you to easily separate, delete, replace audio files, as well as mix them and change the volume levels. It is also noteworthy that Vegas is able to record audio directly and you may not need a separate recording program. In addition to the ability to download ready-made files, it has the ability to capture video. Supports very high resolution video and images. Easily accomplished acceleration and deceleration of the video. It has ample opportunities to use a huge number of transitions and effects. Vegas is easy to work with text: it allows you to create titles for videos, watermarks. Able to output (save) the final video in various formats and in high quality. And, importantly, it makes it possible to save the video without squeezing and loss of quality. Only in this case you need to remember that this video will be quite a long time to calculate and large in size. But in some cases, you need this option to save. "Great video editor for quick projects"
When it comes to video edition, Vegas Pro is a fantastic tool that can be used to work fast. Its interface while a little busy it is way faster to work compared to other software, and the features available are excellent. It also supports a variety of codecs for both importing and exporting and it has a rich amount of options available to use. Some of the encoding options available aren't the best, which will require some custom rendering options to take better advantage of the exporting options. Compared to other video editors, its rendering time can be slow and often has conflict with some plugins and codecs making it even slower, but this has started to change for the better since the transition from Sony from Magix. If you need something that is quick to use and don't care about some advance features but still do something simple and professional, there is nothing better you can find than this. I have been able to assist with video edition, as compared with other software, Vegas Pro is both easier and faster to work with. It may lack some features but it is worth it considering the benefits. I have been using Vegas products for 15 years, and it has always provided what I need. I find it to be incredibly intuitive. While you can certainly add in a lot of bells and whistles, I've always appreciated it's ability to be as simple as I need. I also think that it has better keyboard command functions than a lot of other editing software. Another thing is that it does not seem to bog down my operating system like other software does. Some of the third party effects programs are a little clunky in their integration with Vegas. There have been a few that I tried to work with in the past, like Boris, that just didn't seem to want to easily integrate with Vegas. Also, I have heard complaints from others that it is not as user friendly as other NLE programs. I disagree with that, but I will concede that there is a learning curve with Vegas. Some of the other programs that I have used, like Premiere and Final Cut, have similar styles of editing. But, spending a little time with Vegas can really open up its potential. My only other knock is that it really requires some screen space to be most effective, but you can say that about most video editing software. I do some commercial editing for an older, more conservative bank. And while I think that Vegas is certainly capable of being flashy, this particular client wants something very clean and straightforward. I don't get this same kind of quick and easy editing method from other software that I've worked with. And to me, one of the things that makes it so streamlined, and this may seem insignificant but it really is not, is that Vegas has the most logical keybord command functions. The last program I used, and I do mix in other programs for different reasons, was Adobe premiere. It just seemed like a slog to navigate. "My Favorite Video Editing Software (EVER)"
I love the ease of use, the layout of the software, the included effects, and the rendering presets. Everything is amazing and this software has had me as a loyal user for many years now. I'm not looking back. Some new popular formats and codecs are not being made supported by older versions of the software. It's understandable, but sad. You can't go wrong with VEGAS Pro video editing software! If you use it, it will get the job done. Effective and fast video rendering has never been more simple. Compiling videos is super easy and fun using this software, and that makes the workflow much smoother overall. "Useful quality at a good price." What I like best about VEGAS Pro is that I appreciate the functionality of the product. It provides a solid streamline process for editing videos and applying edits. While it is not as robust as some of the other leading programs. It is effectively for what it can do. What I dislike best about VEGAS Pro is that it does not have the large scale operational capacity of the other programs. Other programs take into consideration linking files and the ease of connection. VEGAS Pro is almost there, but it is not as seamless as I would hope. Try it at least. It doesn't hurt. The business problems that I solved with VEGAS Pro were that, because it's more affordable, I've been able to train employees on a program that is not 500+ out of the gate. Also I've been able to share expertise on the program, and clients appreciate the flexibility it has. "More Intuitive Than Other Video Editing Software"
I like that the layout and user interface is intuitive. If you grew up working in Windows Movie Maker, you can kind of find your way around in this. It's not as complex as other software I've used. I feel like if you want to do basic editing, it's pretty easy to figure out. Not knowing all the features that this has. Like everything else, it could take some time to master the software. Open up the software and play around. Import a short video and experiment. This helps you learn the user interface and the functions of the tools. Practice saving in different formats and also change up the quality. This will help you learn what to use in the future. It's pretty easy to do simple edits and pop out quick rough cuts of your ideas/finished project. You can also render in many different formats and varying qualities so that comes in handy. It's one of the best video editors I've used to date. It's easy to use just by dragging and dropping videos, pictures and audio into a project and edit videos the way you want. It supports all types of file formats for video, audio and images as well. It has tons of video fx to choose from as well as transitions to make your project look professional. You can render your projects with a huge selection of video and audio file formats. It's a nice overall piece of software every video editor needs to use. Rendering projects can take time especially if it's a big project is and how many frames are being rendered at the time. It can also render slowly if your PC happens to have low ram or just a slow PC. There is also a learning curve to the software. While it's easy to use there are a lot of shortcuts and tricks you can overlook doing basic editing. Not having the ability to drag your entire project within the timeline at anytime without having to select each piece of content slows down your progress. If you are looking for an alternative to Adobe Premiere look no further. It's an alternate way to do animation and to edit professional videos. "Intuitive, Flexible and Gets the Job Done"
Vegas Pro accepts all formats I use and many that I don't. It allows me to output in whatever format, framerate, size or bitrate I want. I am really unable to think of anything that it won't do in terms of video. There is really nothing I dislike at all about Vegas Video except that maybe they don't need to come out with a new version so frequently. The differences between one version and another are often small and not worth an upgrade. If you believe Windows is intuitive then you will love Vegas Pro! Making web video from 2D graphics and editing video captures. "Sony Vegas Pro 14. New Publisher, Same Great Editor"
Sony Vegas Pro has always been the absolute fastest tool for throwing together a basic edit. The simple feature of two overlapping media events on a track being treated as a dissolve saves so much time compared to the A/B track model of everything else. Rather than opening media in a trimmer window, where you set an in/out point then drage the clip to the timeline, Vegas defaults to opening media on the timeline for direct trimming. Since, either way you're placing and trimming a clip, I see this as saving two moves on every clips. For those who LIKE Trimmer windows, setting those up to work as expected is changing one setting in program options. Vegas has the best audio editing features of any NLE. Period. With the new Vegas Pro 14 Vegas adds support for many newer cameras and codecs including HVEC (h.265) and R3D files as well as a new native ProRes decoder, removing the need for Quicktime. As a Hitfilm user I'm glad that the Hitfilm integration (broken in Vegas 13) has been fixed. Vegas Pro is very easy to use, and I've been able to train new users from never using the software before to completeing full edits on their own with a half-day of training. Vegas Pro's GPU acceleration is in desperate need of repair. Currently it's something better turned off. Some of the encoders aren't the best, either. The MainConcept encoders are a little lower quality than some other options out there. You'll have to tune your render settings beyond the supplied templates to get the best output. Because of changes that had to be made to the code due to change of ownership many third-party plug-ins for previous versions are now broken. Be aware that due to the change of publisher from SONY to MAGIX that pre-Vegas 14 versions of any script based plug-in will not work. As a freelance videographer/designer/editor time is money. Bottom line, I am four-to-six times faster in Vegas than I am in Avid, Premiere or FCPX. I've completed projects in a workday in Vegas that were taking other editors two or more days to do in other software. Vegas doesn't quite have all the bells and whistles of Premiere or Avid, but, once again, for speed of basic editing tasks (95% of what you do in an NLE), Vegas is just fastest and easiest to use. Training new users in Vegas is very easy--again it all comes down to how Vegas treats overlapping clips. Since 95% of edits are straight cuts and 90% of transitions are simple dissolves, this one simple feature makes a huge difference. Not defaulting to a Trimmer window is great for new users as well. -Powerful tools like video stabilization and motion tracking. -It has all features needed by professional editors, such tools include; Chroma key,white balance,image stabilization,stereoscopic 3D editing, multicam editing and masking. -It excels at creating visual special effects 3D titling and compositing, and it even allows me to author DVDs and Blu-ray discs. -Its ever-expanding tool set makes it a good choice for pro video editors who want the power and granular control needed to make the high-quality videos demanded by their audience. -It has built-in interactive tutorials that show me how many of the tools work. It costs nearly $600- by far one of the most expensive video editing program. This professional video editor features intelligent upscaling, which enables me take my regular HD footage and enlarge into 4K resolution. This is great because it allows me to use footage that may be order with clips filmed with the newest ultra- high-resolution on cameras. Vegas Pro is one of the biggest names in professional video editing software. It has a very intuitive user interface. Sony Vegas Pro offers real-time multi-track video and audio editing on unlimited tracks, resolution-independent video sequencing, complex effects and compositing tools, 24-bit/192 kHz audio support, VST, DirectX plug-in effect support, Dolly Digital surround sound mixing. "Best video editing software for both professionals and amateurs"
Best side of Vegas Pro is it's super easy user interface.It makes Vegas Pro convenient and reachable for all type of users.With reach features you can edit videos and use special effects like a pro.Despite other heavy video editing softwares VEGAS Pro does not require any specialized hardware.It runs on almost any standard Windows computer. While editing 4K videos if you choose low frame rate for rendering as a result output videos appears pixellate. If you choose high frame rate everything goes okey. But it will take more space in your hard disc. If you are new in video editing I strongly recommend you to start from Vegas Pro.You will learn fundamentals of video editing in a short of time. Production Assistant is a real time saver for repetitive tasks. It has saved us countless hours. The customer service is not as good since Sony sold it. The product is still great, though. Every once in a while some of the windows will undock, so we'll have to reseat them. No big deal...just annoying. Vegas is a great software, but I'm not sure it's the one we'd choose if we had to start over. The recent sale and decline of customer support has been concerning. We use it nearly exclusively for audio editing. Editing is super simple and the output is always great. "Pivotal Software for Content Contreators"
The Interface is perfect for Beginners and deep enough for experts in the field. Priced fairly. Perfect for splice, editing and creating videos. Compresses large files and makes overlaying audio easy. Able to plenty of different projects at the same time. Learning Curve isn't too steep. Can import plenty of different files without the need for Conversion. Very easy on Computer Performance. Perfect Software for someone entering Video Editing. Not great at editing erroneous sounds and distractions. Does not have the amount of options that Adobe has. Not as reputable in the Professional field. Can crash on a good performance pc. I recommend this, if you are starting off in YouTube or any Media Field. Personally for me, it has help me start a career in Video Editing, Recording and working with other Audio Programs. On YouTube, Media, Cable outlet....you need to have the most stylized visuals to grab the viewer. You can not churn out a half baked film and expect to grow a following from that. This software is the most affordable and easiest entry into this field. It does enough to help you at least create content that can grab some recurring attention. Sony Vegas has an amazing drag and drop features, which allows you to add multiple files to your project. The software itself is very easy to use, because of its simplistic U.I..
Sony Vegas Pro tends to freeze up alot when editing high regulations videos. It also doesn't have auto save features, which means if the project crashes while you were working on it, you will lose your progress. Allows us to edit my how-to videos so we can post it on you tube and social media platforms for others to learn. I love its impressive functions that meets your goal. There is no feature that I dislike about Vegas Pro. Vegas Pro is the best when creating different kind of videos. It has more special effects that meets the goal of your creative mind. Vegas Pro is easy to learn it is very user friendly to every beginner that doesn't have any background in creating videos using Vegas Pro. I can create video without any complex. It is faster than I ever thought. I'm a YouTuber & this software it's my first seemi-profesional soft for video editing. I like video types, filters and color corrector. Unfortunately my laptop is to slow to fast rendering a HD movies. I like addon plugins for Vegas like Film Looks SVP. Its realy esy to lern how to use it. I usually used him for my YouTube movies on my channel, it's fast & it's very intuitive. You don't need to be a professional video editor for use this software. You will find a lot of rendering options it's will help you choose the best for You audience and Your computer. Sometimes hi hang and destroy all my work, in some cases its to simple for example Adobe After Effecs. Marging, splitting, editing my YouTube videos. Easy nad fast. "video effects to the next level"
The best feature is it is fast in processing speed and supports editing upto 2k, 4k and also sterioscopic 3D. Sampling videos or audios and merging with good effects is the best part where there are many pre installed video effects in sony vegas pro. Keyframing is quite simple and most useful one. Free style camera movement is the plus point .After editting or creating video the rendring speed and saving is fast and is available with many formats for final output to be saved. Gaming effects pack for sony vegas is the best utility for gamers like me with good visuals. Sterioscpoic 3D support where Red-blue cyan glasses can be used directly which is of low cost. Main disadvantage is load time is damn slow sony vegas has to improve in this .. Sometimes sone vegas hangs when an saved file is opened again after some time. Lots of plugins like optical flares and red gaint which are famous in after effects is not available here.But rest with the speed and inbuilt effects sony vegas is the best one. For simple and fast learning of video effects this is the best one no other choice becuase learnign and starting with sony vegas is damn simple with good keyboard shortcuts. SHORT FILM makers, GAMERS, VIDEO effects for fun lovers and finally PROMOTIONAL video makers this is the best step for your task. We as an organization create promotion videos for events with high visual effects and high screen resolution capacities. Lots of editing and plugins are required for a good looking visuals in the videos. And making of Short films is also a task with which sony vegas pro helped a lot in simple editing like keying, camera movements with fast and easiest way. Sony Vegas Pro is that rare combination of having an easy-to-use intuitive interface and having advanced features. While it is not as simple as non-professional video editing apps it strikes a nice balance between ease of use and richness and density of features and functionality. It is much cleaner and easier to use than Adobe Premiere and has a nice suite of tools that, while not as vast as Adobe's eco-system, gives you solid and integrated effects and sound tools. What I like least about Sony Vegas Pro is that it is not available on platforms other than windows and could use a more extensive ecosystem of add-on tools to compete with Adobe. Great Windows-based editing solution. Highly recommend. The business problems I am solving with Sony Vegas Pro include increasing the speed and efficiency of post production, and allowing for a fast learning curve for new editing team members. "Sony Vegas - Easiest Video Editing Software"
- Easy and Simple video editing software which look similar to Windows Movie Maker (WMM) and outputs the fully graded quality formats as per the customer inputs. - Smoother Installation process with a complete guide which takes less disk space and readily identifiable desktop icons with suitable keyboard shortcuts for each. - attractive user interface and graphical design. - Video edit including high definition HDV and AVCHD has a faster rendering time. - Merging of many files into one quality file can be done without any re-encoding or re-compression. - Files that are previously edited through Sony Vegas can be dragged in within a second and after the editing it can be exported directly into Hard disks, SD Card, Mobile devices and You Tube. - Very good web and Community support if and when the interrupts are arrived while using a software. - Ultra Extreme performance with support for NVIDIA (any other hardware) while rendering/ encoding. - There are many icons which sees no effect on using or we do not know how to use them. - Very Poor Tutorial Support where we don't even learn how to use the basic icons. - For high quality export file always demands high RAM Support of the system. - Slow boot, Software Crash, System Hang are routine if we are Sony Vegas Pro User. - It works well in Windows but fails to do the same in case of LINUX and MAC OS. - Updates/ Plugins installation are very often and very annoying. - Users will loose their interest after some time since there are less plugins and the new updated version is more or less the same older one. Sony Vegas Pro being a beginners bitcoin it is very easy to learn and I strongly recommend this product for a small industry/ Personal Usage. - Being a Professional Video Editor I mainly used this product to edit the promotional videos or the videos of small length. We also use this software for my personal video edits. - Benefits : Easy to install, simple to edit, readily availability of plugins, good community support and powerful enough to Edit High Definitions Videos. "Video editing with best keyboard shortkuts and magical effects." video editor having many good features and lots of effects to be added to videos. Audio can also be edited not much like audacity but we can fade in/out audios , cut etc,,. Normal editing functions are a prdefenied in software with easier kayboard shortkuts. Keying, slide transitions, videos effects like flares etc.. are preinstalled which reduces users taskof installing sperately. Lots of ouptut formats are also available with high resolution as well. It is not free to use, bit costly. Has to improve in load times. It doesnt support all videos at import time which is burden for user, sony vegas has to imporve this as this is more disadvantage. Hangs some times. Uses some RAM for which i have to stop running applications in background. Anyone intrested in making magical videos for fun and also videos of advertisements in less time and with more effects can use this with no other choice. I create videos for college events with MACD(Media arts creative design) club for which we use sony vegas as best tool as it is easy to understand and create videos faster compared to after effects as it takes much time and also RAM. "video editing at its best"
Easy to earn as i found many tutorials for the software in youtube which helped me to learn the software and create videos within a week. Timeline is pretty simple to understand and not much complex like other softwares like after effects. Many output formats are available and rendring time is less compared to other ones. And the plus point is there are many inbuilt video effects to be added to videos which is very simple to use. Audio fading and editing audio is also an option. If crashes the work done till now will be opened next time without any loss of data. Cannot find many plugins like Redgaint and optical flares which are famous in after effects. Hangs for 2 GB RAM system and only sony vegas should be opened while using it. Not much templates found in the internet. Al formats of videos are not importable for which i need ti convert the video using some other converter software and then should import which is time consuming task. Any beginners with less knowledge of editing can use this software and time savers this is the best software where u can create videos instantly at the cost of rendering time which is unavoidable. I create videos for my college events and make short films withing the locality. Sometimes i do marketing videos as well for which i need to make some good text effects videos for which sony vegas helped me to complete the deadline with an effecient work finally. It is very simple to learn and to do video editing ,even keyboard short cuts are good and easy to remember. we need not to be professionals who does the video editing stuffs , even without any knowledge of video editing we can learn to use sony vegas pro in few days. Broader GPU acceleration support across video processing and effects. It doesn't need much hardware requirements. It has few plugins, if you want to do professional video editing then go for other software. I think its expensive. And tutorials in the help section is poor, i learned more through web. it takes more load time and has to improve it. System gets crashed frequently it irritates a lot and it takes more ram of your system. if you want to do small video editing even if you don't have knowledge about video editing then use sony vegas pro, it is the good software for editing . it is very easy to learn and can do editing however we want. I'm using sony vegas pro for personal work. Its good for a low level of video editing and can do many things as a beginner. Need not to depend on others for editing . It will be like hobby to do video editing , we can do some funny stuffs too and you will really enjoyed to do video editing. Easy to learn, its simple look and keyboard shortcuts makes learning simple. Also, Installation package comes with lots of plugins in library which allows faster editing. Output files can be saved in whichever format you want in optimal rendering time, and if system crashes while you are working in Vegas, it saves your work for you. Most importantly it uses less RAM compared to other video editing softwares like After Effects, even with high quality video. It crashes frequently with high quality videos in low configuration systems, It doesn't have enough templates to enable easy editing for beginners. Many tools can be developed further for better editing. Difficult to make high visual movies because of underdeveloped "Green Keying Effect" or "Chroma Key" which is available in After Effects. If you are looking to start with video editing than this is best shot you got. You can make it a hobby to upload your videos on social networking for fun. It takes very less time for editing, allowing me to look after other things. This simple looking software makes learning simple. I is one of the popular video editing software for viedo editing lovers. It is easy to learn and simple to use, takes very less time to learn. Any type of videos can be edited with this. After editing videos can be saved in many formats. Editing can be done with very less time. Lots of design options are available. The main dislike is loading time it takes more time to get loaded. Even the rendering speed is slow. After editing while rendering it consumes a lot more time, even for few minutes video sometimes it takes few GB of memory. Sometime system crashes. For a video editing beginners it is the best tool to use. You can make a quality videos from this. I can do lot more stuffs with many designing options. Go for this software it is really good. I have been using sony vegas from last two years for video editing. Also, I uploaded Edited videos to youtube which feels me happy. I used it in many business purposes for doing some projects. "Powerfull and Simple Video Editor"
Sony vegas is a powerfull, simple, complete and unique video editor, it's really easy to use if you want to edit a video like a professional and don't want to spend a lot of time learning how to do it, sony vegas will be perfect, it's relatively easy to use, I literally learned to use it in less than one week. You can edit any kind of videos, I pesonally used it to edit videos and effects from games and make it a better experience to the audience, I really recommend this software. It has some issues related to the encoding and the edition, you really need to have a decent computer which can allow you to edit without crashing or similar problems, I used a core I3 with a NVIDIA GTS 450 and it worked ok. I'd say give it a chance, if you want to do quality stuff, this is a good solution for that, it offers you a very intuitive interface and the results are just sublime. I used this software because I wanted to start making some videos for youtube as a hobby, and for doing this I needed a software that allows me to edit and do some decent effects and also I needed a software simple, Sony Vegas offers you that and more. "Vegas video—quietly pushing boundaries... Too quietly, perhaps." Vegas' timeline has always been very simple—It allows for speedy editing while not detracting from functionality. Other NLEs' timelines feel clunky (I've use almost every major editor). Rather than holding to firmly to a layout which is over-inspired by outdated linear editing systems, Vegas has always (even since the Sonic Foundry years) been one of the quickest NLE's to learn. Vegas was originally developed by Sonic Foundry, an audio software company. (It was during the Sonic Foundry years that I started using the program.) So, not surprisingly, I have found it's audio capabilities to be decades more advanced than its competitors at every release. Vegas Video does not have vector-based track motion capabilities. I find myself bouncing quite a bit of footage to After Effects when I need this. Considering that Vegas' masking uses vectors, I'm not convinced that it would be that difficult for the developers to integrate vector movement into pan/crop and track motion. After Effects should be (and absolutely is) better at certain things, but this is one thing that really should be integrated into every NLE by now. Setting up alpha-channel transparency when bumping to something like AE is pretty clunky (read: "irritating") in Vegas. It could just be that I'm missing something. But, I don't have any problem with this going from AE to Vegas... so, I'm going to go with "Sony should fix this." Even if it looks more simple than your old NLE, don't freak out—it can do all of the same stuff (unless you're looking for vector track motion). "Amazing video editor for starters"
A comfortable interface, easiness of use and selection of already available plugins. Really slow rendering times, crashing on huge projects, errors in processing certain codecs. This is an excellent software for those who are new to video editing yet want plenty of features at ease, however, the rendering times and crashes with certain codecs are not convenient for those working on big projects in a small schedule. It is worth mentioning that the software recently changed owners, and there are interfaces differences from non-Sony versions. The need of making new multimedia content for social platforms or projects. I have use this programm last 7-10 years. Before it was only for my personal purposes, but now I brought it at work and do my videos with help of Vegas Pro. It was ont easy for me to learn it to do really nice videos, but after a few lessons it becomes easy and I learned fast. Love the audio track and many features to work with it. My dislike goes to .. maybe interface. But I am not sure. I used to this soft so I am just happy to work with it. Also I did not use many other programms so I can not make good comparison. If you need some detailed work with the videos and you want to customize many things and make a good comprehensive sound track so this programm will satisfied you. But if you need some quick editions with your video then maybe it is better to find some another light soft. I make a nice videos with a nice sound tracks and it helps me to satisfied our potential customers with those demo videos of our products. The issue being solved is that of what can be used to edit a piece of media together quickly and efficiently, Sony Vegas definitely allows for that, it allows a variety of different file types to be edited in the simplest of manners, that's the best way to describe the software "simple" because in a manner of good ways it's easy to use, it cuts straight to the point and lets you do your business immediately. "Sony vegas pro - Good but not so good"
Sony vegas pro is one of the very few easy to use video editor software for beginners specially those who are not professional video editors/ visual fx guy like me vegas pro is a great start for them. There are also some so easy to use softwares like sony pmb vaio where you can add some pictures and make a good short video file with predefined templates (wedding,birthday etc. )and add a mp3 file for background music ,a slideshow type video can be made within minutes without any stress and sweating. If you are not happy with the templates and do something more to your videos then come to sony vegas pro. Its pretty easy to use ready to jump in video editor. To start a project put your resource files(pictures,videos,background musics) in a folder then open vegas pro and import the resources and start putting things at right places. There are few text effects you can use to animate easily by positioning and transition effects with layers. You can also do some effects with video and audio layers . You can also check various output video formats that suits your need. "A powerful video editor with some intriguing features"
Vegas Pro offers a really robust video editor with some intricate tools for create great video content. The program is fast, relatively light on system resources (or as light as a video editor can be), works well with different video formats, and is easily customized. While not an entry or casual program for newcomers to video editing, Vegas Pro offers a refined system for creating on screen content like story boards, text lines, and other media. It can also be used to develop training videos with on screen instructions. As a moderately priced video editing platform, it has some surprisingly good tools for handling onscreen text and other content. Like other video editors, Vegas Pro can be tough on older systems, requiring a great deal of system resources for adequate speed. Its user interface is not the easiest to learn but offers almost all the tools most users will need in developing videos. Also, Vegas Pro doesn't also handle all exported video formats equally well. Prospective buyers will want to compare Sony Vegas Pro with other programs out there. Not every video editor will work for every user or need. For me Vegas Pro has been great for developing video content for training, documentation, and for general media. Sony Vegas Pro uses a work space much easier than other editing programs, it facilitates handling. I like the variety of transition effects, you can choose from very simple to others quite interesting with excellent ease of application and modification. Very heavy, it requires a lot of memory to work properly. Their tools are very basic, you can not create major publishing projects for lack of new functions to implement key effects for videos. Sony Vegas is limited to being a basic editing tool and nothing more. Lower resolution preview to see your project in real time with issues such as wills. Otherwise you'll never see the fluidity of editing and rendering in vain. Small video editing projects, creating clips. For me, the best thing about Sony Vegas is that the software is so lightweight, even when you're dealing with 4k videos and such. Doing still images animation can be a pain sometimes, but they have improved that on the latest version. Don't let others fool you saying that Sony Vegas is just for audio editing. Dealing with tight deadlines and working in a fast-paced environment. "A dark horse that should not be ignored"
Sony Vegas Pro is very friendly to those who have learned on it's "prosumer" level software Vegas Movie Studio, allowing for editors to have a lower barrier of entry for initial training. Vegas works very well with Sony-branded cameras, as well as AVCHD files. It also works very well with external plug-ins, and is an excellent candidate for editing Stereoscopic 3D productions. Due to the software engine being built on a sound editing program, Vegas is very accessible to those that are accustomed to working in audio editing. Additionally, the price for a perpetual license of Sony Vegas Pro is significantly lower than other products on the market. Vegas Pro's timeline setup feels almost too much like an audio editing program. While it makes inserting fade transitions quick and intuitive, it can also sometimes cause clips to be easily lost. The indicators for modes like ripple mode are not as obvious as those on software like AVID Media Composer. Vegas Pro also has historically struggled with a number of video codecs, including those found in the mp4 wrapper. While this can be addressed easily through 3rd-party codec packs, these are issues that have plagued the software for years. While it can occasionally be frustrating when working in a non-Sony workflow, my time with Vegas Pro has allowed me to better understand the technical inner-workings of video files on a level that would not have been possible through other software packages, particularly Adobe Premier and Final Cut Pro X. I strongly recommend it and Movie Studio Pro as a tool for education for aspiring video editors, as well as for filmmakers on a tight budget that would prefer a perpetual license to a subscription service. Sony Vegas Pro provides a powerful editing tool at an affordable price range. It also allows for new editors to have a clear training ground by providing a bare-bones model to learn on in Vegas Movie Studio that uses the same exact interface as Vegas Pro. In a wold of highly competitive NLE's that are ever changing and adapting there is Vegas Pro. Vegas is a great high performance tool that is always overlooked. It is extremely streamline and makes for fast paced editing on the fly. If you are on the move shooting a documentary that needs a rough cut in the field Vegas Pro is the tool for the job. being the forgotten underdog this system has very few plugins available. A lack of broad interest means that many tools are underdeveloped and simply put if you are looking for any effects or tools beyond an assemble edit Vegas just isnt going to get the job done alone. at the end of the day if you are looking to spend $600 on a professional NLE I cannot recommend Vegas pro, its lack of support and lack of general interest means you will be alone when the problems hit. In my work I only use vegas when it's the only professional program available to me. I cannot think of a time when I would reach for Vegas instead of Final Cut or Premier. "One of First editing programs I used. " Sony Vegas is a very good pro editing program to start editing with. it's fairly simple and the timeline is still one of my favorites of any program. I dislike the lack of plugins for this program. You're kind of stuck with what you get when you install it. And the plugins that are available are way too expensive. I also wish that there were more video and audio effects, but thankfully you can change the a lot of the setting to get what you want. Also, the color correction is a little lacking, but it can get the job done. If you're in the market for an inexpensive pro editing program, look out for deals for Sony Vegas Pro. I got a great one for Vegas Pro 12 and am very happy with it. However, the newest versions are fairly pricey. If you're new to editing I recommend Vegas Pro as well, especially if you can get a good deal for it. "Good software to achieve good results in short time." You can achieve average/good results in short time. It has a friendly user interface to achieve simple task. It does not provide great flexibility, if you want to anything extra ordinary it takes lots of time and effort. If you are not trying to achieve a simple task then the UI is not the friendliest. You should use it if you do not want to follow the learning path of some sophisticated application like Adobe Aftereffects. Designing video montages for short cinematic or product show-reels. "Been using Vegas pro for over 8 years!" I love the simplicity of it all. I've tried other video programs, and nothing beats vegas pro simplicity. I edit client testimonial videos with vegas pro and it makes editing easy. I even use it to make video ads, Instagram ads, etc. It is very easy to use and navigate even for beginner video editors. I've been able to edit, add music, mix master and finalize various video projects. "Sony Vegas Pro has been and always will be my go to for editing video." I love the unique qualities that allow the user to be able to alter and edit video from color to manipulations. With endless ability to get added transitions, and capability to render any way you prefer I think it is a unique user experience that I can't get anywhere else. Best of all? It is easy to learn if you are willing to look up some youtube tutorials. I have used this for years. Get it. Some advanced manipulations are difficult, and in regard to free transitions and such, options are slightly limited. I can't say much else is a dislike. Make sure your computer can handle it. It takes a lot of RAM. I am doing editing for trailers, post production, color correction, and more. I can also edit audio. The thing I like best with Vegas Pro is its ability to separate all tracks in a clip. We use this program to boost audio in interviews to match the rest of the video clip. Vegas Pro makes it easy to pick out single audio tracks and normalize them. The configuration can be overwhelming at times. Vegas Pro can do a lot for you which is good and bad. It does take some time getting used to key functions and short cuts. But it is worth it. The biggest benefit is splitting audio tracks in order to normalize audio. * We monitor all VEGAS Pro reviews to prevent fraudulent reviews and keep review quality high. We do not post reviews by company employees or direct competitors. Validated reviews require the user to submit a screenshot of the product containing their user ID, in order to verify a user is an actual user of the product. Hi there! Are you looking to implement a solution like VEGAS Pro?